Fortnite Battle Royale seems to be getting its first vehicle, but it definitely isn’t any vehicle one would expect. It is not a car, nor is it a motorcycle or a four-wheeler—it is a shopping cart. The “new updates” section in Fortnite Battle Royale shows that the shopping cart is coming soon. Presumably, the vehicle will arrive this week via the game’s weekly update. The shopping cart seems to hold up to two players but can be driven solo and, aside from that, Epic Games has yet to say anything else about it. We’ll know more once it is released in-game and with it being Fortnite’s first drivable vehicle, its implementation in-game, both tactically and balance-wise, will be quite interesting. Fortnite Battle Royale continues to mold and shape itself as it just keeps growing and growing, in both popularity and its amount of in-game content. Season four started a few weeks ago and Epic is continuing to build out the game’s e-sports appeal by adding $100 million to the game’s competitive prize pool. 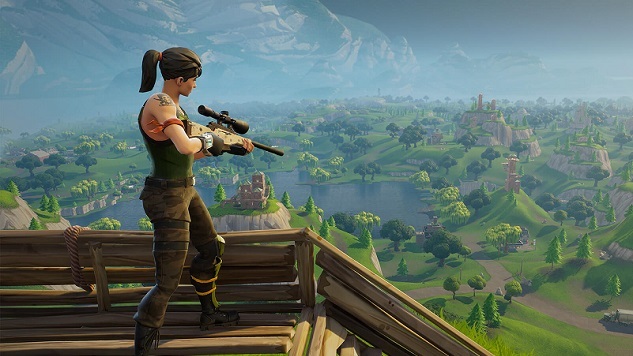 We’ll assuredly have more news and information about Fortnite Battle Royale as it continues to cement itself as more than just a flash-in-the-pan phenomenon.